Today, the name Johann Sebastian Bach (1685 - 1750) is inseparably associated with the organ. In his day, Bach was famed as an organist, improviser, and organ expert. We now view him primarily as an ingenious composer whose works were far ahead of their time. He left behind more than 1,100 compositions in a wide variety of forms and genres that call for all kinds of instrumental and vocal forces. One cannot overlook such gems of sacred music as the B Minor Mass, the St John Passion, the St Matthew Passion, the Magnificat, and many cantatas. He also wrote orchestral works, especially while in Köthen, where he wrote his Brandenburg Concertos and most of his chamber music. Bach’s legacy for organ is not only vast, but also extraordinarily valuable. He wrote music for organ all his life, and he left us a very wide spectrum of compositions. 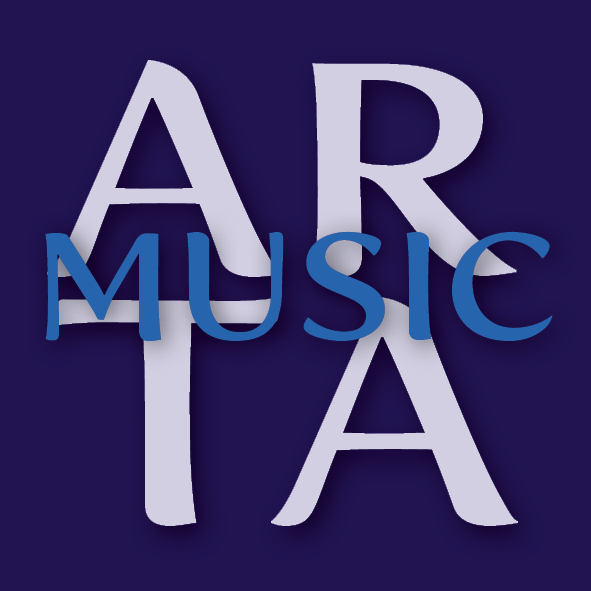 This CD reflects two major areas – firstly the large-scale, virtuosic works including preludes, toccatas, fantasies, and the passacaglia and fugue, and secondly his diverse arrangements of Protestant chorales. An instrument in the little Saxon town Rötha, not far from Leipzig, allows for a stylistically authentic interpretation. The site boasts two organs made by the famed organ builder Gottfried Silbermann (1683-1753). The smaller instrument at the Marienkirche has one manual and pedal and 11 registers. 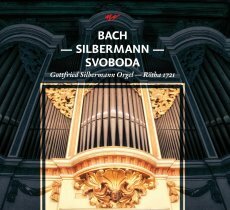 The sound of the Silbermann organ on this CD comes from the St. Georgenkirche, where we find a two-manual instrument with pedal and 23 registers. 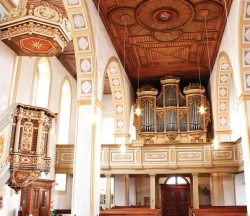 This organ from 1721 has been preserved without any major changes, and we can clearly evaluate it as being more than appropriate for the interpretation of Bach’s music. The opening Prelude and Fugue in G Major, BWV 541, dates from Bach’s Leipzig period. The joyful sounding prelude is characterised by an alternation of monophonic passages with polyphonic writing. The subsequent fugue, in spite of its more sophisticated contrapuntal structure, maintains a joyful character similar to the prelude. The opening work contrasts sharply with the following chorale prelude Schmücke dich, o liebe Seele BWV 654. In this very intimate music, the individual phrases of the chorale melody successively merge with the other contrapuntal lines that constitute the accompaniment. Additionally, the chorale itself is adorned with a great deal of melodic ornamentation. This arrangement is part of the collection Great Eighteen Chorale Preludes (sometimes also called the “Leipzig Chorales”), which Bach compiled during his late period, mostly from older compositions. There is no need to describe the third composition in detail. The Toccata and Fugue in D Minor, BWV 565, is the most famous work in the entire organ literature. There is no extant autograph manuscript of the work, and there are even some theories that Bach did not compose it. Ich ruf zu dir, Herr Jesu Christ, BWV 639, is a chorale prelude that Bach included in his collection titled Orgelbüchlein. This “little organ book” was an ambitious project of the young Bach, who wanted to create a comprehensive collection of various chorale arrangements for organ. Ultimately, Bach gave up plans to complete the collection, leaving us just under fifty pieces. tion were undoubtedly works by Bach’s predecessors and by Dietrich Buxtehude in particular. The colourful chorale prelude O Mensch, bewein dein Sünde groß, BWV 622, also comes from the collection Orgelbüchlein. Unlike the aforementioned chorale Schmücke dich, o liebe Seele, BWV 654, the main melody is presented from beginning to end without interruption. The Toccata in C Major, BWV 566a, is again an example of the virtuosic style. Compositionally, the work is in the toccata and fugue idiom, with an alternation between more loosely conceived sections and strict fugues. Today there are two extant versions of this work in two different keys, both directly from Bach. After the first version in E major, he created a second in C major. Bach probably did this because the version in E major does not sound satisfactory with all types of tuning then in use. The transposition to C major also allows the work to be played on organs with a smaller manual and pedal range. Bach included the Advent chorale Nun komm, der Heiden Heiland, BWV 659, in his collection titled the Great Eighteen Chorale Preludes, and it is arranged in the same manner as the second number on this CD by the technique of colourful melodic entrances following brief interludes in the accompanying voices. The Fantasy and Fugue in G Minor, BWV 542, is another of Bach’s masterpieces. The Fantasy stands out for chromatic progressions and daring modulations with an alternation of freely conceived virtuosic passages and strictly contrapuntal sections. The long fugue, composed separately before the Fantasy, again documents Bach’s mastery as a composer in this form. Pavel Svoboda (*1987) egan his musical studies at the elementary School of the Arts in Dobruška (Daniela Štěpánová – accordion, Radka Zdvihalová – piano), then he stu died organ at the Pardubice conservatory in the studios of Josef Rafaja and Václav Rabas. 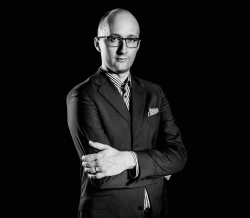 He graduated from the Academy of Performing Arts in Prague under Prof. Jaroslav Tůma, he has taken part at numerous performance classes under important organists, and he made a year­long study visit to the Universität der Künste in Berlin with the Dutch organist Leo van Doeselaar. After his master’s studies, he entered the doctoral programme at the Academy of Performing Arts in Prague. He has won prizes at several international competitions. In 2013 he became a laureate of the Prague Spring competition, and in 2016 he won 2nd prize and the title Bachpreisträger at a prestigious international competition in Leipzig. He is the dramaturge for the International Music Festival of F. L. Věk and the chairman of PrOVArHANy, an association that focuses on the preservation of historic organs.